Give your projects "Eye" catching appeal. Wiggle eyes bring life to dolls, animals, toys and more! Features a flat back for gluing. Great for any Arts and Craft Project. Sizes include 28MM, 30MM, 35MM and 40MM. Each pack includes 100 wiggle eyes. Sold as 2 packs for a total of 200 wiggle eyes. 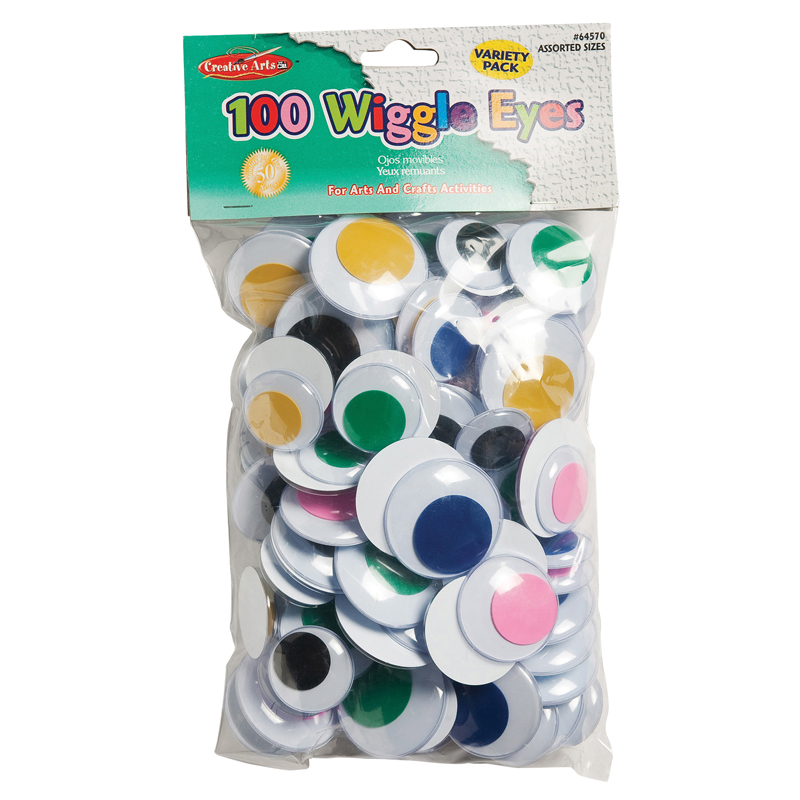 The (2 Pk) Jumbo Wiggle Eyes Black can be found in our Wiggle Eyes product category within the Arts & Crafts. Give your projects "Eye" catching appeal. Wiggle eyes bring life to dolls, animals, toys and more! Features a flat back for gluing. Great for any Arts and Craft Project. 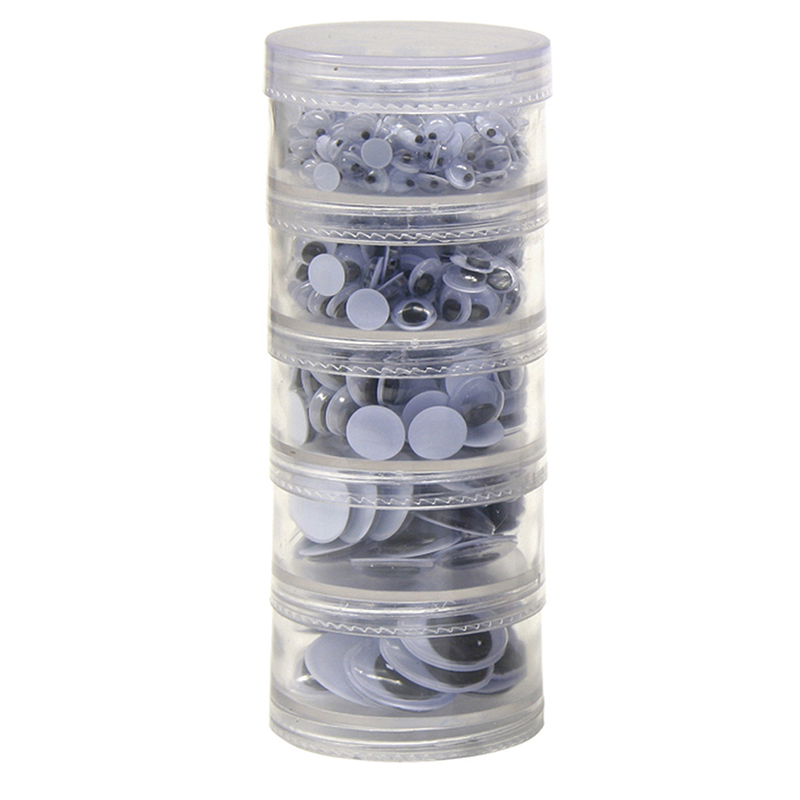 Sizes include 28MM, 30MM, 35MM and 40MM. 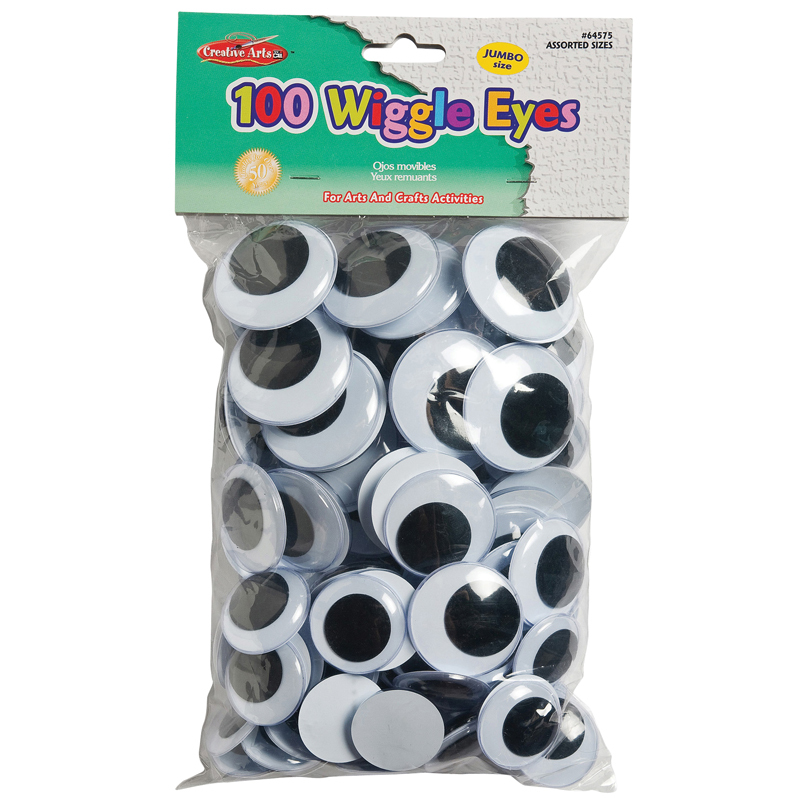 Each individual pack contains 100 Wiggle Eyes, Bundle of 2 packs, 200 Wiggle Eyes total.